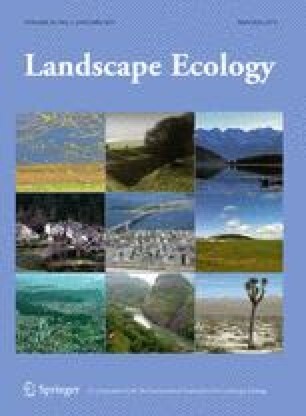 In recent decades, Mediterranean landscapes have been experiencing more rapid changes in land use than usual, which have affected the ecology of the species inhabiting this biodiversity hotspot. Some studies have assessed the effect of such changes on biodiversity, but most of these were diachronic studies of population dynamics, or synchronic studies of species habitat selection, whereas few studies have simultaneously taken into account temporal changes in habitat composition and changes in species distribution. This study analysed the effects of land-use changes on the distribution of wild ungulates (Capreolus capreolus, Capra pyrenaica, Cervus elaphus and Sus scrofa). Using favourability function and Markov chain analysis combined with cellular automata, we addressed the following objectives: (i) to examine the environmental determinants of ungulate distribution in the past (1960s) and present (1990s), (ii) to model land use for 2040 to forecast future species distributions and (iii) to assess the biogeographical differences between the above-mentioned study periods (past–present and present–future). Species favourability was predicted to be more widely distributed in the present than in the past, but this increase varied across species. Areas predicted to be favourable in the present should remain stable in the future, but in addition there will be more new favourable areas not previously occupied by these species. The results are discussed from the perspective of the socio-economic relevance of wild ungulates in relation to some unfavourable areas of Mediterranean regions. The online version of this article (doi: 10.1007/s10980-010-9538-2) contains supplementary material, which is available to authorized users. Our gratitude to two anonymous reviewers and Dean Anderson for their useful comments and suggestions on a previous version of the manuscript. Funding was provided by the project CGL2009-11316/BOS—FEDER. Special thanks go to E. Martínez for providing us with the maps of the species abundance for 1960s, and to the Junta de Andalucía for supplying the Annual Hunting Reports. We extend special thanks to J. Olivero for ideas and discussions on methodological aspects. P. Acevedo and M. Delibes-Mateos are currently holding a Juan de la Cierva research contract awarded by the Ministerio de Ciencia e Innovación—Fondo Social Europeo. US Geological Survey (1996) GTOPO30. Land processes distributed active archive center (LPDAAC), EROS Data Center. http://edcdaac.usgs.gov/gtopo30/gtopo30.asp.